Today I'm really excited to share this treat with you. A Cinnamon Croissant Ring! I know croissants are super intimidating to some people but I've taken tons of pictures to show you how things should look as you go along. This post probably will have more pictures than any of my other posts. Which should be really helpful :). My husband always teases me that I never make him croissants because I used to make them about once a year and he hasn't had them homemade in probably over two now. This was a great surprise for him and I thought you all would like it too! This ring is also called a Princess ring but I can't find any information on why so if anyone does know I would love for you to share :). 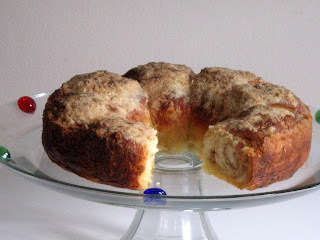 I have always loved yeast doughs and a challenge. I don't view croissant so much as a challenge as much as a do a test of patience, they definitely take some time to make. 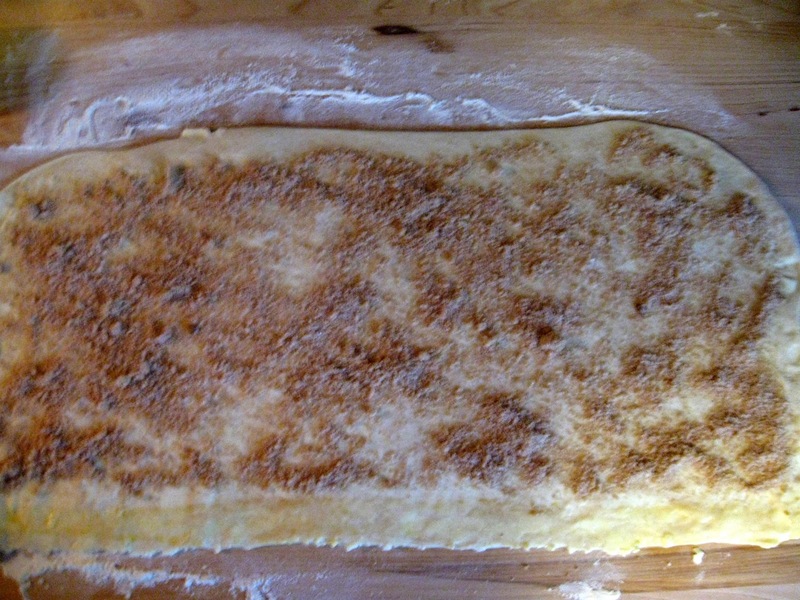 Once you get the yeast activated and mixed into the dough then you are good to go on a yeast dough. You know it's good yeast if you see it start foaming a few minutes after it's been mixed into the liquid in the recipe. If it doesn't foam, toss it, it's not good anymore. Yeast lasts a pretty long time though. I buy it in bulk and keep it in a sealed container in the refrigerator and haven't had any problems with it going bad. This post will be a little different because I'm putting a line of pictures below this instead of mixed into the directions. Some of my pictures may be a hint blurry if you enlarge them but I wanted to include them anyway to give you an idea of what you are looking for during the recipe. The directions (which are long but don't be alarmed) are at the bottom of this post with a "printable recipe" link. If you look at the recipe and read over it you will see some repetition such as the "turns" for rolling out the croissant dough. 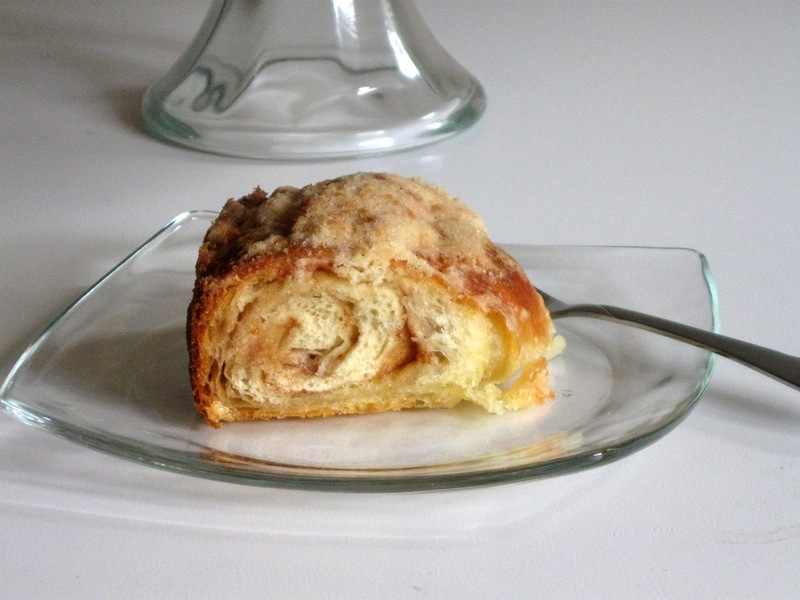 You only want to use 1/2 of the recipe of the croissant dough for the cinnamon croissant ring. You could also just make two princess rings and freeze one of them that is already baked. You want to keep it in the pan though and freeze it, then wrap it tightly for up to one month. When you want to serve it, take it out of the freezer, take off the foil, and bake the frozen ring at 325F for 30-40 minutes. 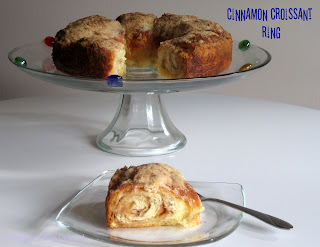 If you don't want two cinnamon croissant rings then tomorrow posts is croissants! 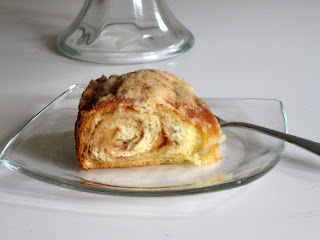 So, even if you get wild and make the dough today it still needs to sit in the refrigerator overnight and you can make croissants with it tomorrow. Here with go with the steps in pictures! The dough after all four folds that is ready to be turned into something delicious! This is half of the dough. The other half has been re-wrapped and placed back into the refrigerator for later. 1. Butter a 24-centimeter (about 9-inch) springform pan and line with a round of parchment paper. Butter paper and remove side of pan. 2. Stir together sugars and cinnamon in a small bowl. 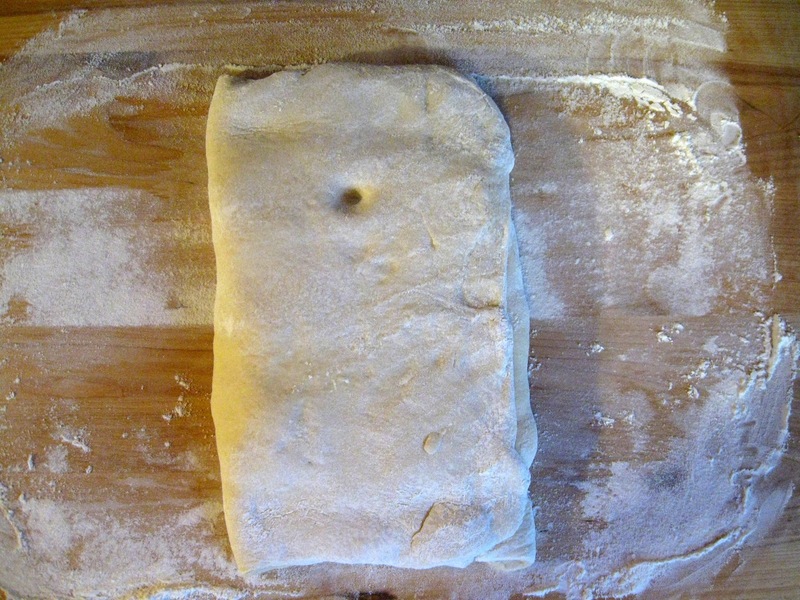 Roll out dough on a lightly floured surface, dusting with flour as necessary, into a 24- by 9-inch rectangle. Brush off excess flour with pastry brush and trim edges with a pizza wheel or sharp knife. 3. 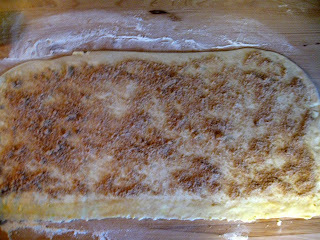 Arrange dough so that a long side is nearest you and sprinkle cinnamon sugar over dough, leaving a 1-inch border along bottom edge. Brush border with some beaten egg and chill remaining egg. 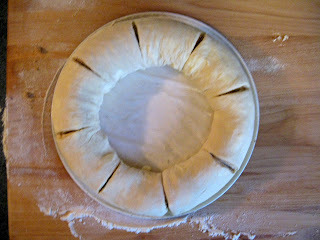 Fold top edge of dough over about 1 inch. Using both hands, roll dough toward you: Use your thumbs to tuck dough under and tighten as you go, working your way down entire length of log (as when rolling up a poster), and gently rock dough back and forth to keep it taut and even. When finished, roll log back and forth over seam to seal. 4. Transfer log, seam side down, to bottom of springform pan, bringing both ends of log together to make a ring. Beginning 2 inches from where ends meet, make vertical cuts from outside of ring toward center at 2-inch intervals, cutting halfway through ring. 6. Blend flour and sugar in a food processor. Add frozen butter and pulse until very finely chopped. Chill streusel until ready to use. 8. 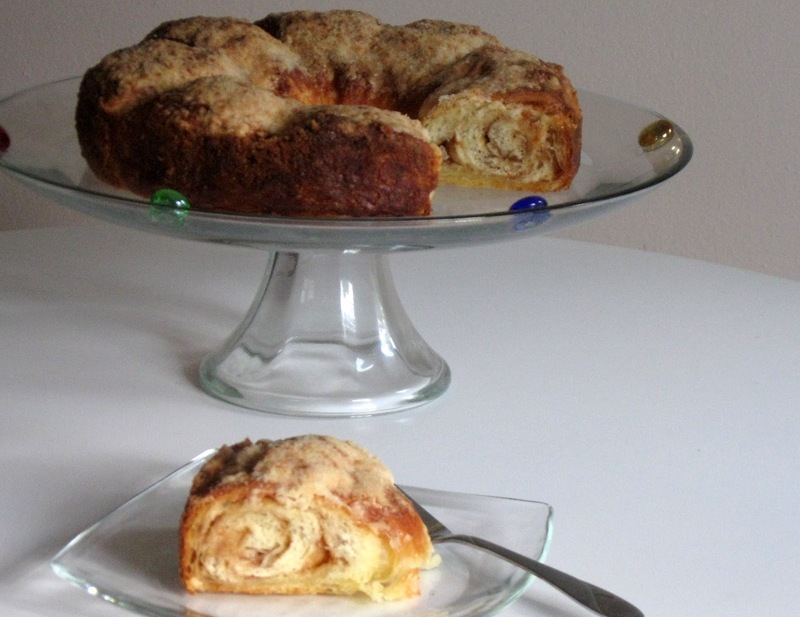 Gently brush top and center of ring with some of remaining beaten egg, then sprinkle with streusel. 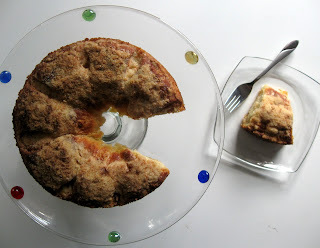 Bake in middle of oven until top is browned and streusel is crisp, about 45 minutes. Cool in pan on a rack 10 minutes, then run a thin knife around edge to loosen and remove side of pan. 1. Stir together warm milk, brown sugar, and yeast in bowl of standing mixer and let stand until foamy, about 5 minutes. (If it doesn’t foam, discard and start over.) Add 3 3/4 cups flour and salt and mix with dough hook at low speed until dough is smooth and very soft, about 7 minutes. 2. Transfer dough to a work surface and knead by hand 2 minutes, adding more flour as necessary, a little at a time, to make a soft, slightly sticky dough. 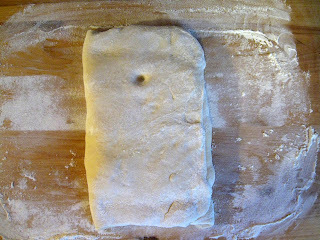 Form dough into a roughly 1 1/2-inch-thick rectangle and chill, wrapped in plastic wrap, until cold, about 1 hour. 3. 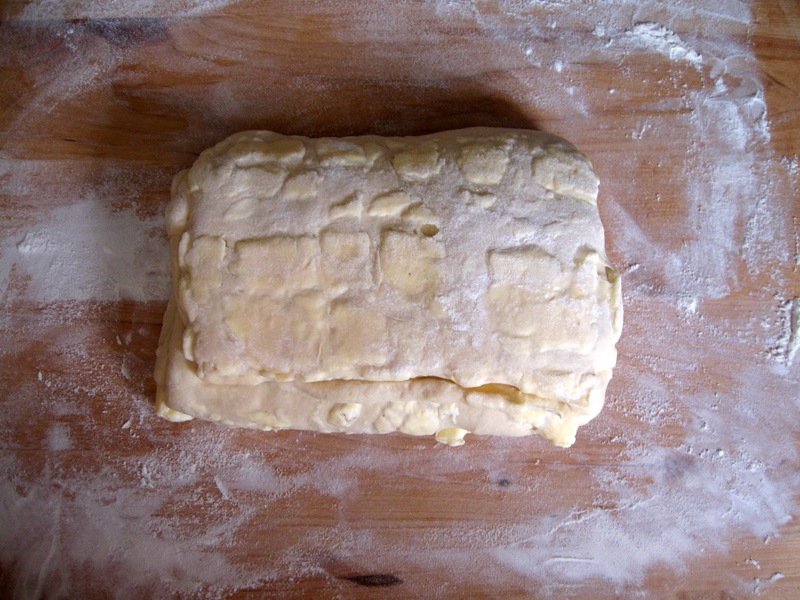 After dough has chilled, arrange sticks of butter horizontally, their sides touching, on a work surface. 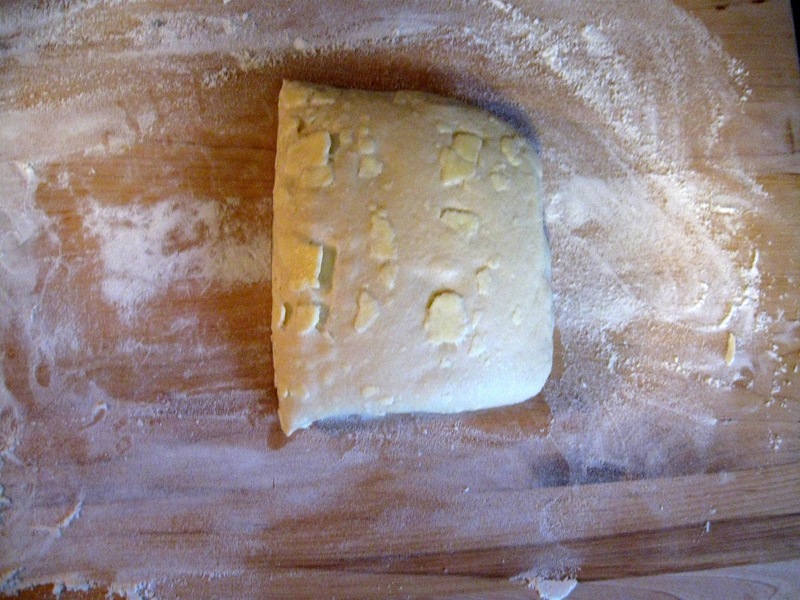 Pound butter with a rolling pin to soften slightly (butter should be malleable but still cold). Scrape butter into a block and put on a kitchen towel, then cover with other towel. 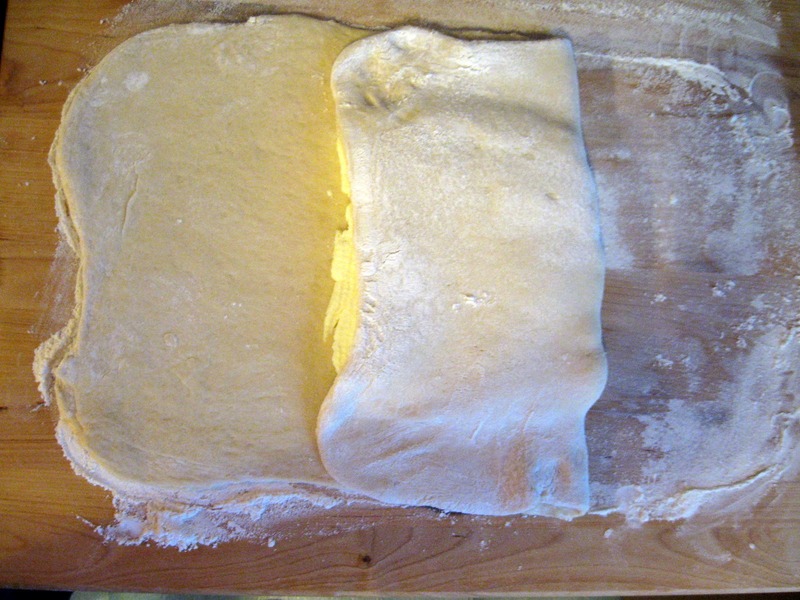 Pound and roll out on both sides until butter forms a uniform 8- by 5-inch rectangle. Chill, wrapped in towels, while rolling out dough. 4. 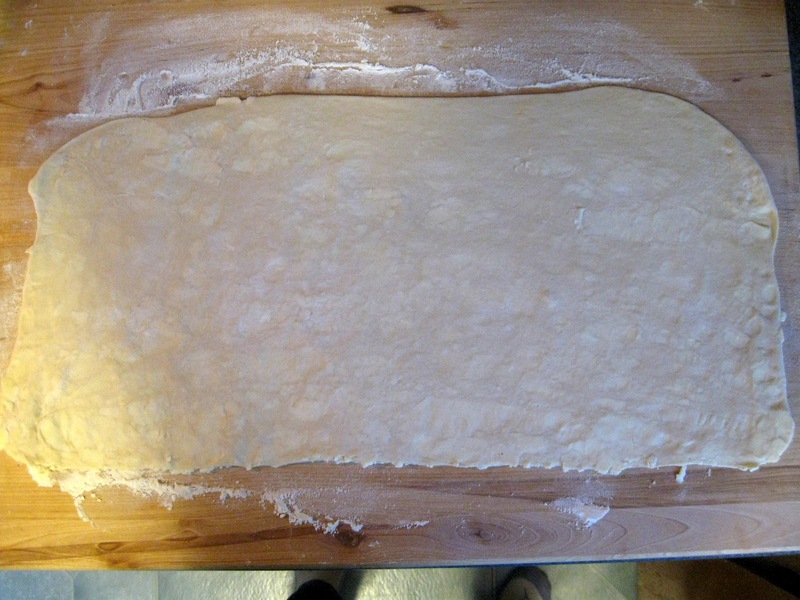 Unwrap dough and roll out on a lightly floured surface, dusting with flour as necessary and lifting and stretching dough (especially in corners), into a 16- by 10-inch rectangle. 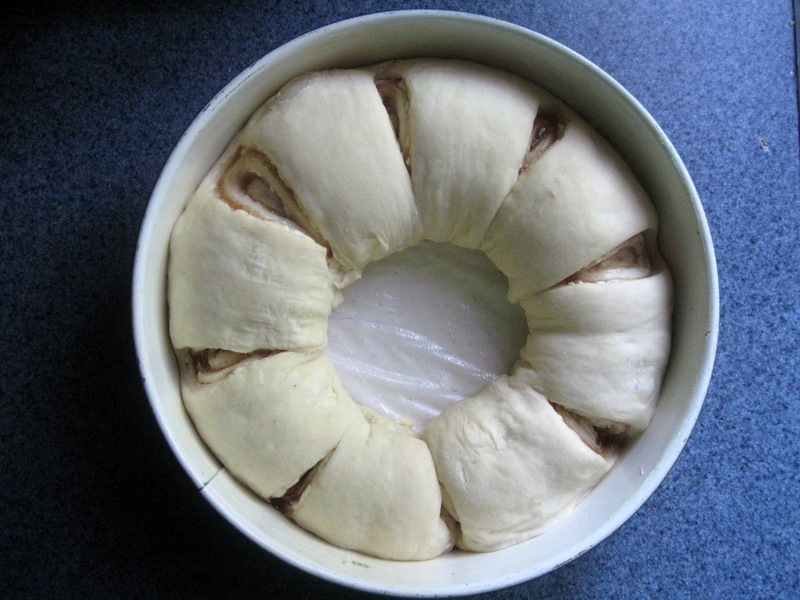 Arrange dough with a short side nearest you. Put butter in center of dough so that long sides of butter are parallel to short sides of dough. Fold as you would a letter: bottom third of dough over butter, then top third down over dough. Brush off excess flour with pastry brush. 5. 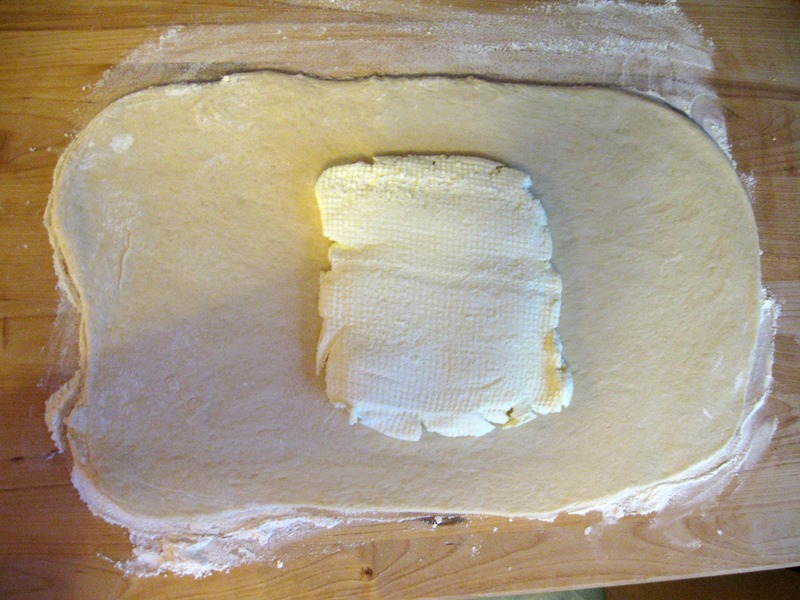 Turn dough so a short side is nearest you, then flatten dough slightly by pressing down horizontally with rolling pin across dough at regular intervals, making uniform impressions. Roll out dough into a 15- by 10-inch rectangle, rolling just to but not over ends. 6. Make 3 more folds in same manner, chilling dough 1 hour after each fold, for a total of 4 folds. (If any butter oozes out while rolling, sprinkle with flour to prevent sticking.) Wrap dough tightly in plastic wrap and chill at least 8 hours but no more than 18 (after 18 hours, dough may not rise sufficiently when baked). What a great recipe. Folks love wreaths. I would love for you to share at Bacon Time's Friday Anything Goes linky when it starts this week again. Thanks for the invite Mindie :) It's funny, I hadn't thought of it as a wreath but I bet it would be perfect for a holiday brunch.